“From Ashes to Ashes: The Journey from the Exterior to the Interior in the works of Stephan Bagradian 1958- 1972"
Louisiana Tech University, 1997 (Abridged version won the Overdyke Award, Graduate Division, Second Place, 1998, North Louisiana Arts Association). In 1960, Stephan Bagradian felt himself to be in a real intellectual dead end. 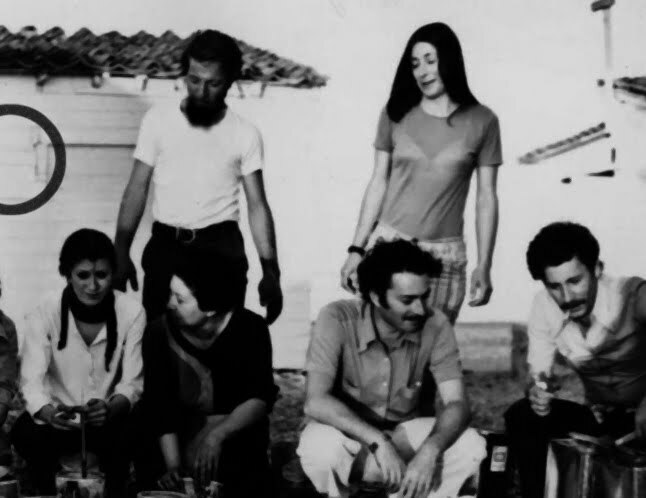 Prior to this time, his runaway success with the “Round Flat”, “Flat”, “Supercilious Flat” and “Super(b) Flat Round” series, had gained him critical notoriety and the friendship of prominent artists such as John Cage, Jean Tinguely and Yves Klein . However, by the end of the 1950s, Bagradian felt that he had pushed the limits of flat in art as far as he could. He had always believed that using painting to portray the illusion of depth was the equivalent of lying. His core belief was that in order to produce the most truthfully pure aesthetic experience, he needed to produce paintings that had no artifice at all. For almost a decade, he made paintings that were as flat as flat could be- and screamed that they were flat. 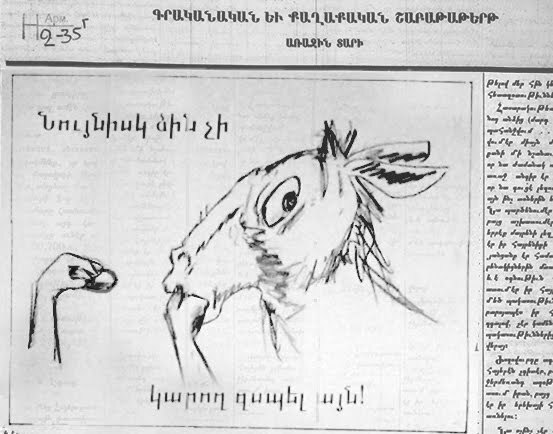 All illusionism was cast aside in Bagradian’s work. By the late 1950s, Bagradian’s felt that he was stagnating. The flat surface was simply not enough or even worse, real flat might be beyond his technical abilities. Bagradian began to feel that even applying paint to canvas was a lie. Consequently, he began experimenting with stretching canvas, and foregoing his trademark circle, he then gessoed the canvas, which was sanded down rigorously. He showed the blank primered work in his much lampooned and yet highly influential “Naked Truth” exhibition. This too proved to be unsatisfactory for Bagradian- there were still bumps on the flat work. To him, it was still a lie. Numerous experiments followed, he bought ready-made canvases and hung them in his gallery, with the packaging and price tag still attached. This was too much to accept, even for his most ardent supporters. This galvanized Bagradian. He realized that Greenberg saw what he saw; as Greenberg was quoted in his transcript as saying: “The flatness towards which Modernist painting orients itself can never be an absolute flatness.” Bagradian realized that it was impossible to make physical painting as flat as they needed to be, to be truthful- but he could change the space in which paintings inhabited. Not the exterior space of the Minimalists but interior space. That is, true flatness is only possible in the physiology of a person. He thought that we must travel out of Plato’s cave to see the real truth. The reflections on the cave wall were, Bagradian understood, his 1950s era paintings and all paintings that were in any kind of representational mode. The truth of flatness was to be achieved only in the sunlight of the mind. But how could he internalize the flat? Bagradian, lifted out of depression, experimented with abandon. With no small amount of joy, he returned to his previous beloved geometric circles that had dominated his paintings of the 1950s and then promptly burned them. His first show was made with the literal ashes of his new paintings and was called “Out of the Cave! In to the Light!” This show consisted of Bagradian describing his circular painting to attendees and then giving them a portion of the ashes to eat. He packaged these ashes in small cellophane bags, labeled with the title of the burnt painting- he made strict instructions that the descriptions of each painting had to transmitted orally as writing is a form of representation and thus is lying. Few people were interested in Bagradian’s revolutionary ideas at this time. Undeterred by the reception of his show, Bagradian persevered. The British writer, Aldous Leonard Huxley had exposed Bagradian to the psychological possibilities of pharmaceutical research years before. Thus, Bagradian had been following the development of Chlordiazepoxide (marketed as Librium) with interest. This depressant was “the key”, he thought. Bagradian’s next show was much more popular with everyone who attended, as well as the critics. For this show, Bagradian gave each person in attendance a small piece of canvas with a circle painted on it, a matchbook, an ashtray and 1 mg of Chlordiazepoxide. Attendees were to take the Chlordiazepoxide and burn the small canvas while thinking as hard as they could about the painting. They were then to describe the work to someone else in attendance. This triumph led Bagradian to the next work, which has been called the last true modernist work of art . Bagradian took Chlordiazepoxide, crushed it with a mortar and pestle and combined it with the ashes of his painting- making an art pill for the art participant to swallow. 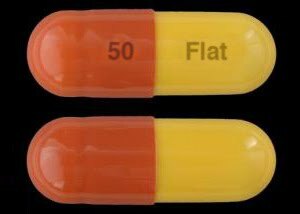 This pill was to be taken as the viewer imagined what they thought the painting looked like in their mind. No descriptions of the work were given at all- except for the title of the paintings, which always had the word “flat” in it. In Bagradian’s vision, these increasingly potent and large tablets would only be available with the prescription of a licensed artist. The German pharmaceutical company Grünenthal GmbH was contracted to design and manufacture kits of Bagradian’s work to share his art more widely, therefore escaping what he saw as the limiting nature of the gallery. 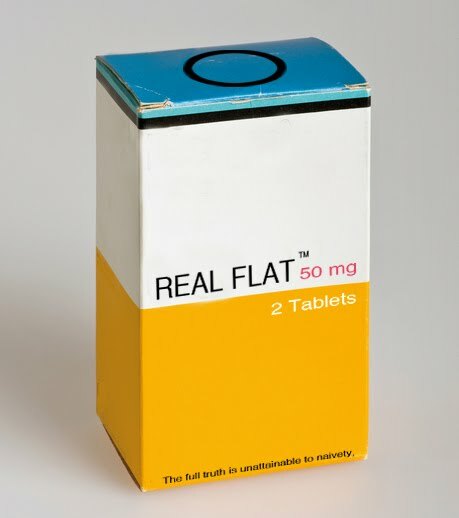 It was then decided to change the name of Bagradian’s work from “Interior/ Real Flat” to “Real Flat” as this was seen as catchier. The 1972 coup by the Armenian Orthodox church and the installation of the Patriarch as supreme leader of the Armenian Democratic Republic has meant that most remains of these exciting experiments in flatness were destroyed. 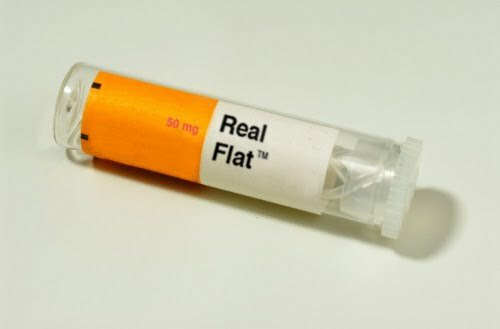 After the coup, Grünenthal GmbH stopped the production of the “Real Flat” pills. However, buoyed by the success of the product with their test market, Grünenthal GmbH moved in to the production of a similarly formulated sleep aid. Gordon, Mike. "The Story of Flat” Honolulu Advertiser 14 Apr. 1982, home final ed. : D1+. Print. Limbaugh, Conrad. "Cleaning Symbiosis." Art of Our Times. Comp. Andrew Todd Newberry. San Francisco: Freeman, 1982. 104-11. Print. Laverty, Melina F., Eleanor J. Sterling, Amelia Chiles, and Georgina Cullman. Bagradian 101. Westport: Greenwood, 1994. Print. Greenberg, Clement. "Modernist Painting." Clement Greenberg. N.p., n.d. Web. 10 Apr 1996. <http://www.sharecom.ca/greenberg/modernism.html>. Lucas, John S., and Paul C. Southgate, eds. Aquaculture and Plants. Oxford: Blackwell, 1993. Print. Smith, Erik L. "Which Pair of Pants Shall I wear Today?” Adoption. Ed. David M. Haugen and Matthew J. Box. Detroit: Greenhaven, 1975. 36-40. Print. Social Issues Firsthand. Butwell, Richard. "Vietnam." Lands and Peoples. Vol. 2. Danbury: Grolier, 1985. 293-302. Print. Lords, Mike S., and Pam C. Southpaw, eds. Nipsey Russell :The Real Deal . Oxford:, 1977. Print. Baskin, Yvonne. "Sea Sickness: The Upsurge in Marine Diseases." Bioscience 56.6 (1993): 464-69. Print. The last phase of Bagradian's career was the most difficult as he saw the overthrow of the government that had supported his works. He nevertheless had one last offering to the world.